This tutorial is all about Stabilization; how it can help us in Mocha and how we can use the tracking data in After Effects. We discuss how to shift narrative focus within a shot just by changing the shape that we build the stabilized effect on. This gives us a good deal of control in the scene. 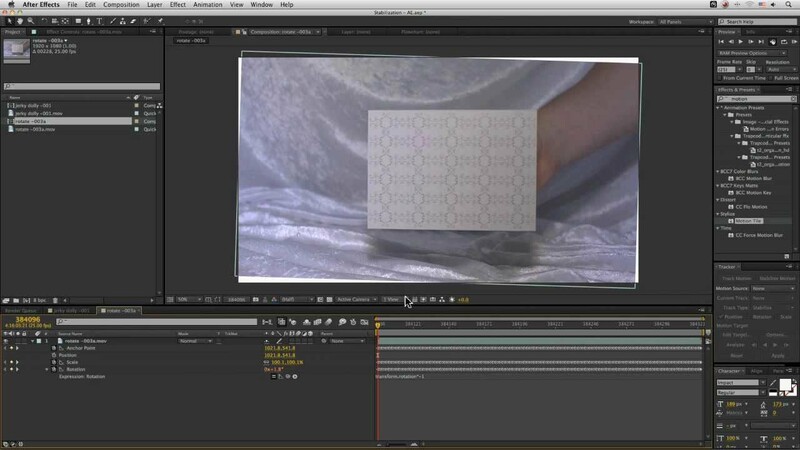 In After Effects we see the methods for stabilizing position, then scale and rotation using Expressions. We then work on creating a smoothed shot to maintain the camera move but take out the bumps. Along with this, we see some quick techniques for filling in missing edge details.